First time I exhibited at trade shows was 2013. First time I actually paid out for a site-takeover advert was 2013. First time I took Mac & Linux porting costs under positechs control, rather than splitting it. These were all good decisions, everything seems to have gone pretty well. Plus, we released redshirt, the first name under the positech banner developed by someone else (Tiniest Shark). Those were the exciting new, adventurous things. On the game design front I’ve been more cautious. I released Democracy 3 and started (very early) work on Gratuitous Space Battles 2, both sequels. I truly have become hollywood! My plans extend to a new IP by the tail end of 2014, so don’t think I’ve entirely run out of ideas (far from it!). Because sales-wise the year went well, I’ve been doing some consolidation and investment for positech too. I’ve had a lot of popular games, but maybe I’ve been lucky. There is no magic rule that says I will earn a single penny in 2014, and given development costs, I *may* actually lose money. As a result, I’m starting to think longer term about investing in making positech a more ‘solid’ company to own. That means a bit of investing (it’s shocking what a terrible rate of return you can get right now, even if you are prepared to lock money away for a loooong time), and a bit of investing in the biz itself, stuff like equipment and improvements to infrastructure. I also see advertising as a long term investment. I know some people take 150+ days from clicking an ad to buying my games, and I suspect the real figure can be longer. A certain chunk of the democracy 3 ad budget will pay dividends in GSB 2.0 or New IP sales. I like to think long term. 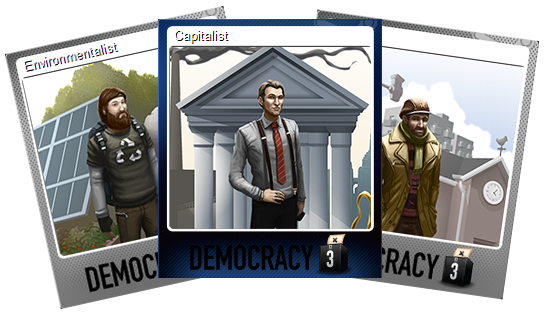 Democracy 3 trading cards for steam are now live! Enjoy! and Happy Christmas/ Pagan ritual / Celebration of your choice. Ok, so after my fairly low key release on my own site, finally Democracy 3 was released in German to steam yesterday. It’s been trickier than I suspected it would be, mainly due to GUI annoyances and web page shenanigans, but it is on-sale now. Sales to Germany have been pretty good, with 6% of revenue coming from there, in the English version 9and there are other countries that speak German, obviously). if I can boost sales to those countries by 25% then I have made money on the translation, so hopefully it will exceed that. It’s also cool to have more people play the game, and it’s interesting and exciting to have done something (funded and managed a pro translation) that I haven’t managed before. (Democracy 2 was translated, but on a revenue split basis). As is typical, I’ve scheduled this for a stupid time (23rd December!) so I won’t get any press coverage, but just having the game come up with a German option has to boost sales in the long term. I can make German language copies available to any German gaming sites who only cover translated games, which is a bonus. I made a decision to go as far as I could in translation terms, so I translated the game text (obviously) and also the logo, got a new trailer done (twice!) translated the positech site page, and changed the steam screenshots and promo assets to have German text. I even have some German adwords ads I might experiment with a bit. Anyway, if you have German speaking friends who have turned the game down until today, please point them at the games German website or at the steam page for the game. Danke! Delegating is hard. Getting someone else to do something instead of doing it yourself… there are a whole bunch of psychological, practical, economic and other issues to navigate when doing that sort of thing. There is definitely a point where you have to either accept that your company will never grow, or start delegating. I’m definitely there right now. If I wasn’t a workaholic, I’d have reached it 2 years ago. So right now I’m in the situation where when I see something that I can possibly delegate, I jump at it. I guess when I say delegate, I mean outsource. Ideally, I’d have full time employees, but I don’t need an artist, or a web developer, or game designer or ad-manager or PR person. I need a little bit of all of them. Thats hard to find. As a result I end up employing a ton of people on short term piece-work contracts. Right now 3 people are working for me, a designer, a web developer and an artist. Oh and a trailer-producer, so that’s 4. The trouble is, it *always* involves some admin and management (I insist on a countersigned contract even if its $100 of work), and also it’s never 100% like you doing it yourself. In economics, comparative advantage refers to the ability of a party to produce a particular good or service at a lower marginal and opportunity cost over another. Even if one country is more efficient in the production of all goods (absolute advantage in all goods) than the other, both countries will still gain by trading with each other, as long as they have different relative efficiencies. On the surface it sounds like nonsense. If I can make bananas cheaper than you, and tractors cheaper than you too, why on earth would I trade bananas and tractors with you? Read the article if it isn’t obvious, it’s kinda magical. There is a difference between reading that and really internalizing it. What it comes down to is this: If you can’t find an artist as efficient as you, or can’t find a designer as quick as you… it really doesn’t matter. It probably STILL makes sense for you to outsource. You aren’t paying someone to do a job more efficiently than you (of course that would be awesome) you are paying someone to do a job *so you can do something else*. Clearly, the solution is to make the *something else* the stuff that can never be outsourced. I bet I’m explaining it badly, but I know what I mean! It’s a revelation to me. I suspect it also acts as a barrier to expansion for some small companies. So for those who don’t know, I am primarily a game developer, but I also published a game by another indie called Redshirt. I didn’t write a single line of code, as I recall, although I played it a LOT, and sent a lot of emails, and filled out a lot of spreadsheets and forms :D So the game has been on sale a while now, how has it gone so far? Well the main thing is that the game shipped! Yay! it was pretty badly behind schedule, for all sorts of reasons, and took much longer to make than expected. The good news from my POV is that didn’t really matter. I was funding Redshirt from the profits of Gratuitous Space Battles and Gratuitous Tank Battles, so I wasn’t ‘in debt’ to fund a game that then overran, which would have been stressful. The only real downside to the game shipping late from my POV was that it clashed horrendously with the release of Democracy 3. This was a pain because it meant constantly context-switching between promoting two different games at once, and meant I spent a lot of time staring at emails from review sites thinking ‘what games am I sending them again?’ which is definitely a new thing for me. I’d say that the hardest things about the publishing experience was the grey-areas surrounding design and polish. I’m a bit obsessed with game polish, and this is something that happens right at the end. At that point all you want to do is SHIP IT, and only a *lot* of experience allows you to sit back and go ‘no, actually we should re-do all these buttons again’, and know that it will be worth it. Because the developer (Mitu, from the tiniest shark) hadn’t worked on game projects this long before, there was a tug of war between her naturally wanting to finally finish the thing and me constantly going ‘no I think we need to tweak that again’, which almost certainly drove her nuts :D.
The good thing is, This wasn’t a make-or-break project for my company, so I could be fairly relaxed about it, unlike a big faceless publisher that wants to maximize it’s ROI and frankly doesn’t care if it drives everyone on the developers staff to a nervous breakdown or marital breakup. There was no point in being an indie publisher if I wasn’t happy to do things differently, and more reasonably. The other grey-area was design. Mitu definitely designed and made the game. it was her idea. The trouble is, I’m a game designer by trade, so naturally whenever I’d check over a build at a milestone, I’d be frothing with a lot of ‘it would be better if you dumped this feature and added this other thing’, and to be honest, I *still* don’t really know where you draw that sensible line between ‘hands-off publisher’ and ‘creative partnership’. This is probably the hardest thing about publishing someone else’s game. 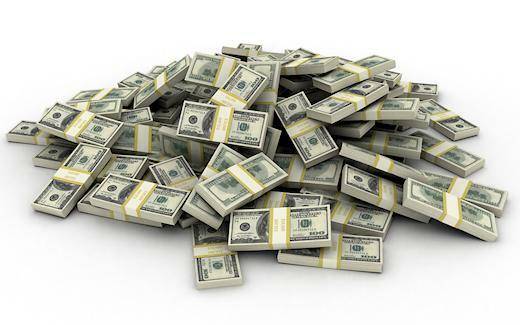 I’ve been in heavy metal bands, and the amount of intra-band argument and ‘creative differences’ you get in a band is HUGE, but at least in a band (an amateurish one), there isn’t a debate about money in there (even an unspoken one). Nobody in a band has any ‘power’ over anyone else. Everyone needs everyone else. The situation as indie publisher vs developer is different. I’ll be honest, we never talked this through enough when setting up the deal, but I was always internally rocked by a struggle between ‘I think we should change this, and I’m the guy putting up the money’ vs ‘This is not your game cliff. You need to trust the person who has the creative vision’. This is a real dilemma, and you don’t see it coming. My understanding of the movie world is that the ‘producer’ handles this. He acts as a firewall between the studio and the director to prevent them coming to blows. We didn’t have that, just lots of nail biting and chin stroking by me wondering whether I should suggest X or not. Again, an evil money-obsessed publisher wouldn’t have let this bother them, but I did :D. Without getting all sinister sounding, I am aware that in the modern world money = power. Like it or not, I was the one with financial leverage in a situation with someone I was creatively co-operating with. It’s kinda strange. Anyway, this all makes it sound like an emotional/business nightmare, but it really wasn’t. It was great fun. I found it a bit stressful, because I was new to publishing. Doubtless Mitu found it stressful too!. Now the game has shipped, I feel very proud of the fact that I published a game by another indie game developer. I would very possibly do it again, given the *right* game and the *right* developer (very very hard to find). The short answer is yes. I’ve made a decent return on my investment, although I didn’t calculate my time, which was quite a lot. However, even given some suitable allocation of cost for my time, I think it will make me a profit by January, and a decent return on investment by the middle of next year. The game has not been on sale long, or bundled, or discounted beyond 25%, so there is every likelihood that there is ‘unrealized potential’ there in terms of sales at lower prices. We priced the game on release at $19.95. For those interested in hard facts, The game was technically in profit in the first week(excluding my time). 21.8% of it’s income has come from direct sales, the rest from GoG, Steam and the MacGameStore. It was only released on the Apple App Store yesterday. Of the total cost of the game (which was mid 5 figures dollars), 19% was spent on marketing, the rest was contractors and development. The majority of the contracting cost was GUI art, as you would expect. The majority of our marketing budget was Facebook, attending Rezzed and Eurogamer and ComicCon. Those events were also very beneficial in terms of usability testing.